We get it—contracts can be intimidating. In the home security industry, 36-month terms are pretty common, and with that, most companies require you to pay back the majority of your contract when you cancel early. If you don’t want to get tied down to a company for three years or more, plenty of viable no-contract security systems offer more freedom and flexibility. We’re going to break down a few of our favorite contract-free security systems to give you a better sense for which system might be best for your needs. SimpliSafe is affordable and easy to set up, and it gives you an array of equipment options. We like the 60-day money-back guarantee and the month-to-month professional monitoring option. SimpliSafe is one of the most affordable security systems on our list, but we like its systems most for their flexibility. SimpliSafe sells a wide range of base packages that you can further customize to include cameras, smoke and CO detectors, and other equipment to make your system more comprehensive. SimpliSafe offers no-contract monitoring that you can turn on and off with no penalties, giving you a lot of flexibility in your monthly payments. Nest Secure’s equipment is high quality, and its systems are compatible with a lot of different home automation equipment so you can build out an interconnected smart home. Nest Secure is a great option if you already own Nest equipment or you want to invest in a system that supports smart home integration. Its equipment is high quality, and you’ll have to pay more for it upfront. If you want monitoring, Nest Secure systems can be professionally monitored by Brinks, though you’ll pay a bit more per month for the contract-free option. Scout is a solid DIY security system with sleek, modern equipment. While its equipment selection is somewhat limited, Scout systems are easy to set up and self-monitor. Scout is a great choice for those wanting a simple DIY security system with high-quality, aesthetic equipment. Scout offers a pretty affordable no-contract monitoring plan which also gives you access to third-party equipment. That’s a big perk given that Scout’s proprietary equipment selection is pretty limited. Abode is a simple DIY security system that gives you the ability to pay for on-demand monitoring for short periods of time, which no other competitors offer. Just because you’re looking for a home security system without a contract doesn’t mean you can’t benefit from professional monitoring. You can self-monitor your system for free through the app. 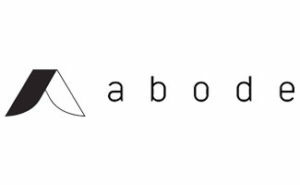 But Abode also offers some convenient short-term professional monitoring options ($8 for three days, $15 for seven days) to give you some peace of mind during quick weekend trips or week-long vacations. Whether you want to self-monitor your security system or opt for professional monitoring on a month-to-month basis, the above options will give you that flexibility without locking you into a contract of three years or more. That said, whether you should SimpliSafe, Nest Secure, Scout, or Abode will come down to each company’s pros and cons and which you value most. SimpliSafe: If you want an affordable home security system with an array of different equipment and package options, go with SimpliSafe. Nest Secure: If you want to invest in an ecosystem home security and smart home equipment, go with Nest Secure. Scout: If you want a relatively simple DIY home security system with clean, modern aesthetics, opt for Scout. 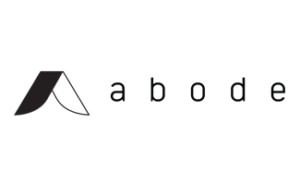 Abode: If you want a self-monitored home security system and occasionally need short-term on-demand monitoring, go with Abode.